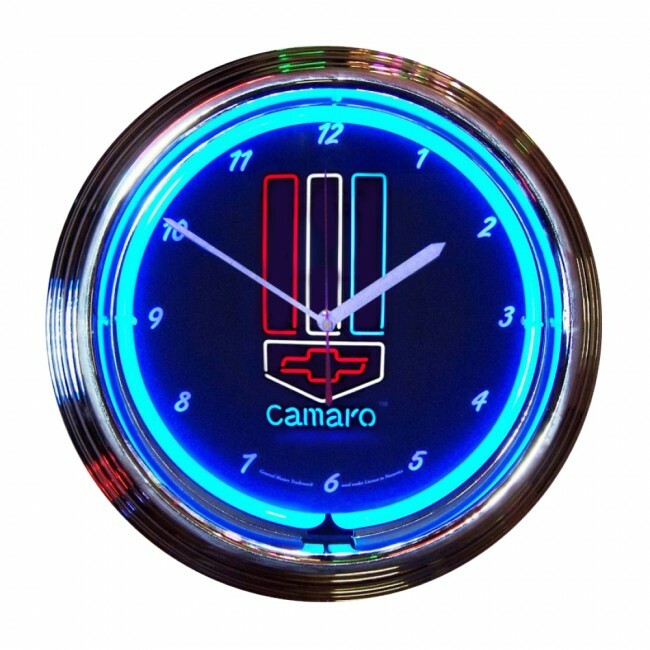 Camaro Red, White and Blue Neon Clock features a hand blown ring of neon glass tubing generating 25 watts of light. Chrome finished, multi-tiered art deco style rim with glass crystal. 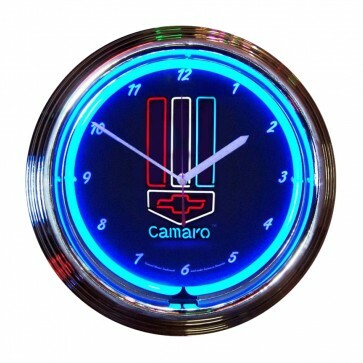 Clock operates on one AA battery (not included). Neon light is powered by an AC adapter (included) that plugs directly into a wall outlet. (15” dia.) Limited manufacturer’s warranty.